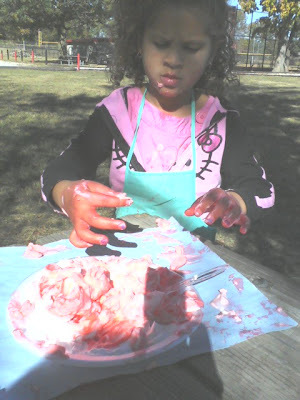 This shaving cream kids' sensory play activity is super easy! 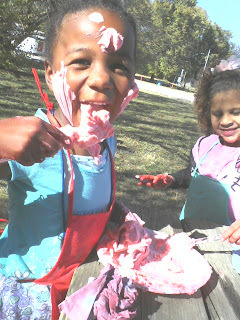 Messy, sensory Shaving Cream tinted with food coloring is tons of fun for kids to play with at home or as an after-school activity. After all, what's more fun than making a royal mess? 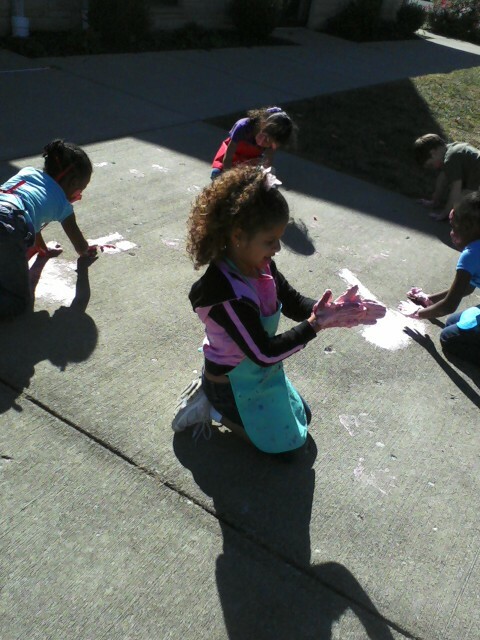 Play with your shaving cream outdoors to keep Mom's house clean! food coloring, plates and spoons for mixing. 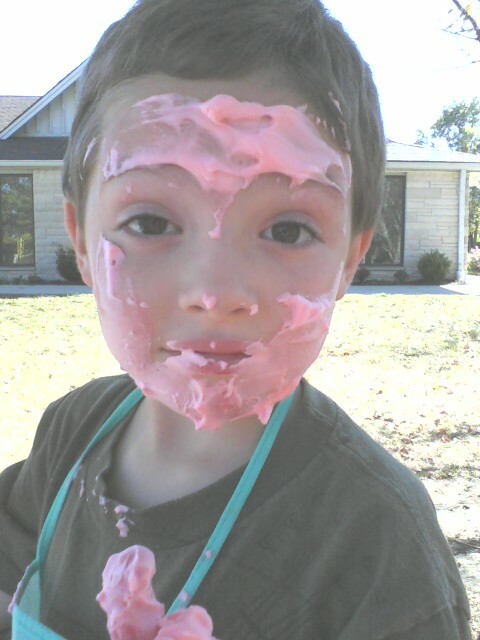 Be careful not to get a shaving cream beard into your eyes. Use it like face paint to add texture, beards, moles, crazy eyebrows, or scars. It will stiffen and dry on your face. Don't get it in your eyes please- ouch! Mix it up to your heart's content. 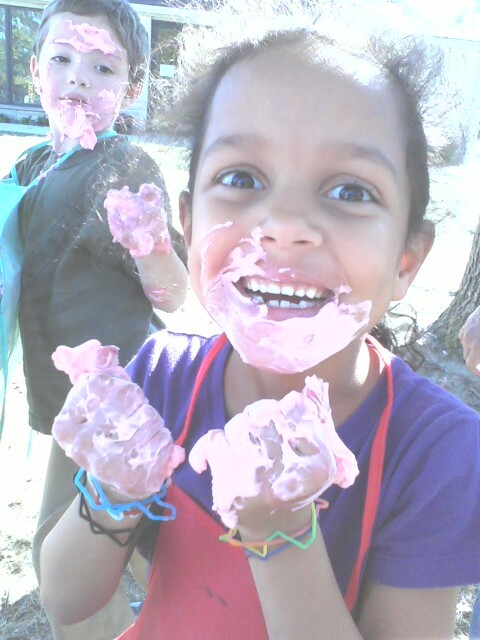 Make a shaving cream cake and pretend to eat it. The cream makes nice snowmen sculptures too! 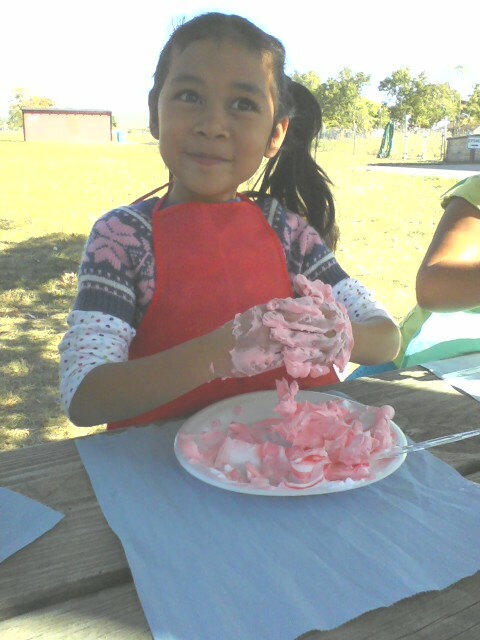 Use shaving cream like sidewalk paint. Well, no, it's not for the faint of heart. Dig in and go crazy! 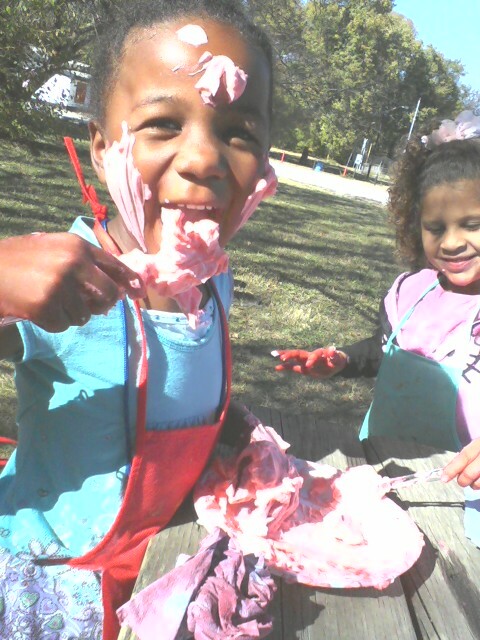 The messier the more fun! This is one crafty recreation project that kept the kids busy for an about hour. The possibilities are endless. 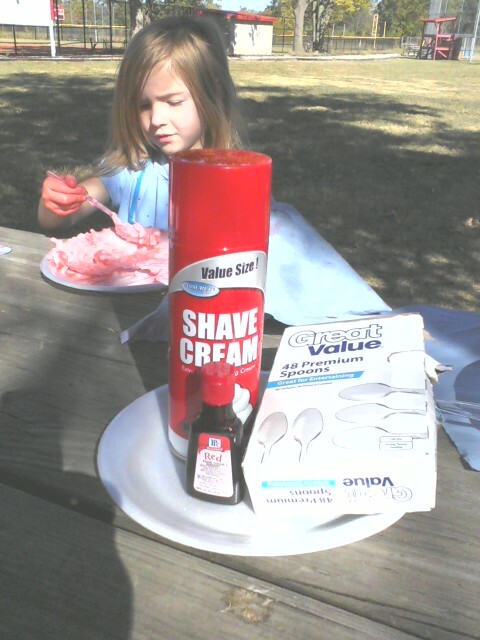 for your shaving cream play time. 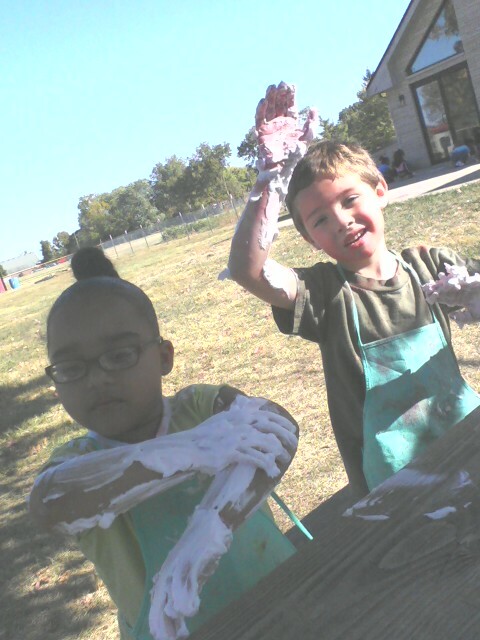 With shaving cream sensory play, anything goes!